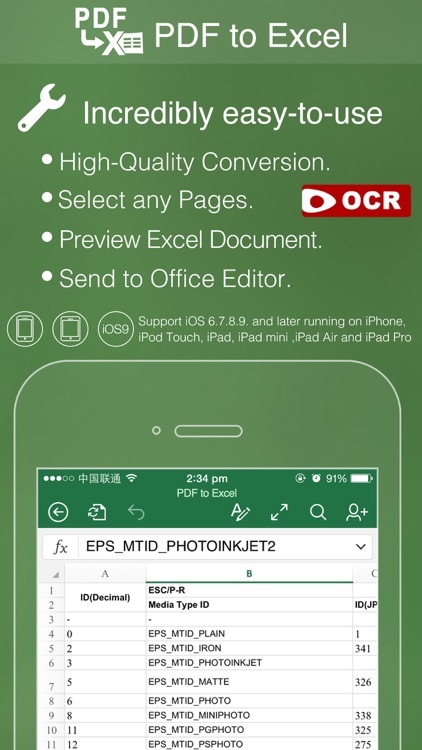 PDF to Excel With OCR Lite by Flyingbee Software Co., Ltd.
Flyingbee PDF to Excel OCR Converter is designed to help users to convert scanned image PDF to Excel via OCR (Optical Character Recognition) and recovers all the numbers, text, and layout in the PDF tables, it helps you spend less time retyping, low money, copying-and-pasting PDF data, as it quickly and accurately turns your native PDF files to editable Microsoft Excel spreadsheet(.xlsx), retaining text fonts and table layouts. And you can easily edit, reuse and calculate the data in output excel documents. 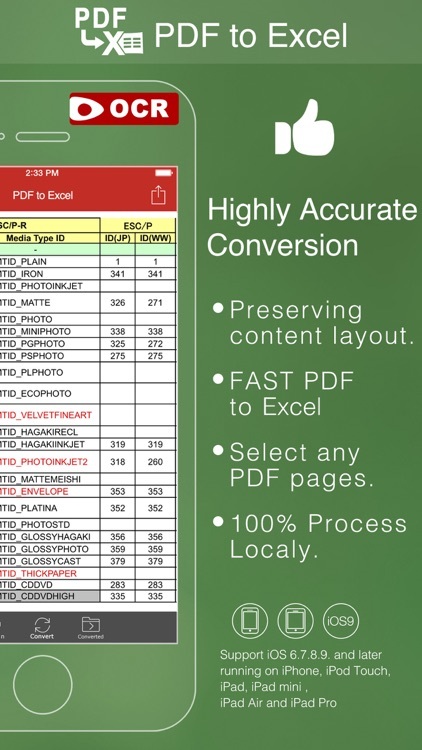 PDF to Excel OCR Converter also supports batch conversions from image PDF to Excel and setting output options of conversions from image PDF to Excel. For PDF files protected by passwords, it can convert the PDF files into perfect fully editable Microsoft Excel files every time with an easy-to-use interface. It supports recognition of several languages including English, French, German, Italian, Spanish, Portuguese, Japanese, Russian and Chinese. • Support 64bit - iOS 10 Compatibility, Optimized for iPhone 7, iPhone 7 Plus and iPad Pro. 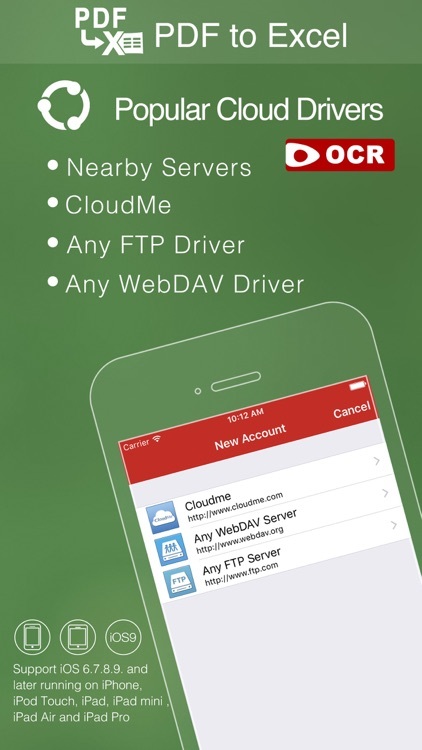 • Connect to online cloud storage support, include any FTP or WebDAV Server. • Support Microsoft Office 2007, 2008, 2011 and 2016 Excel Application, not completely compatible with iWorks apps. 1. 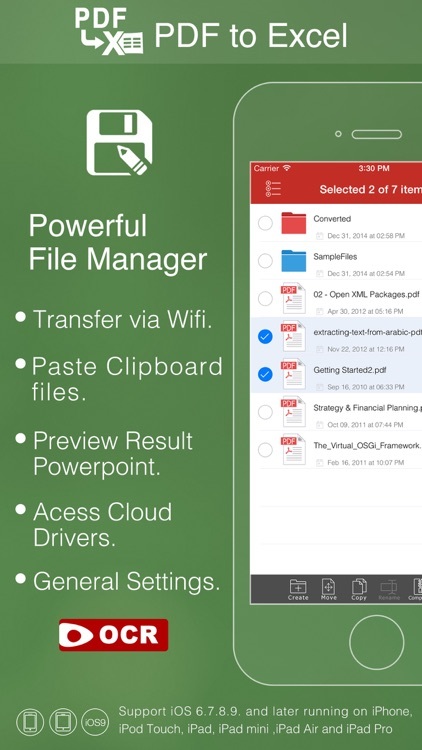 Open Mail app, use "Open In.." to send source PDF file to PDF to Excel. 2. 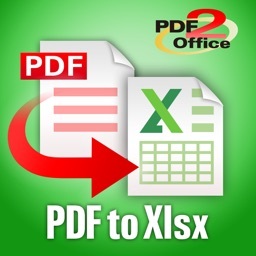 Go to PDF to Excel app, touch to open the source PDF file where text come from. 3. 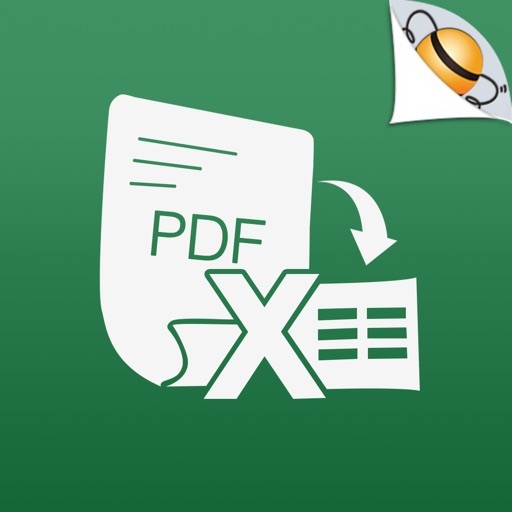 Click "Convert" button to extract PDF to Excel files. 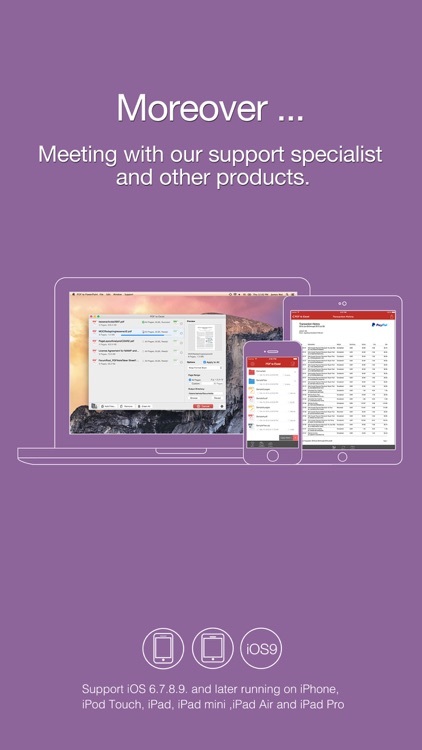 • Import PDF from Mail, Safari, Adobe Reader, GoodReader, Dropbox and other apps. • Print to AirPrint-enable printers. This app use OCR function. it would Convert textual PDF to image PDF firstly, then recognise editable texts from image PDF, if you want to convert textual PDF, we suggest you to use our other PDF Converters. If you want to convert PDF to more formats, like PDF to Word, PDF to Powerpoint, PDF to JPG etc., please try our Other Converter. We are continuously developing this app, so please feel free to contact us with your questions, suggestions or any problems, and we will reply ASAP.